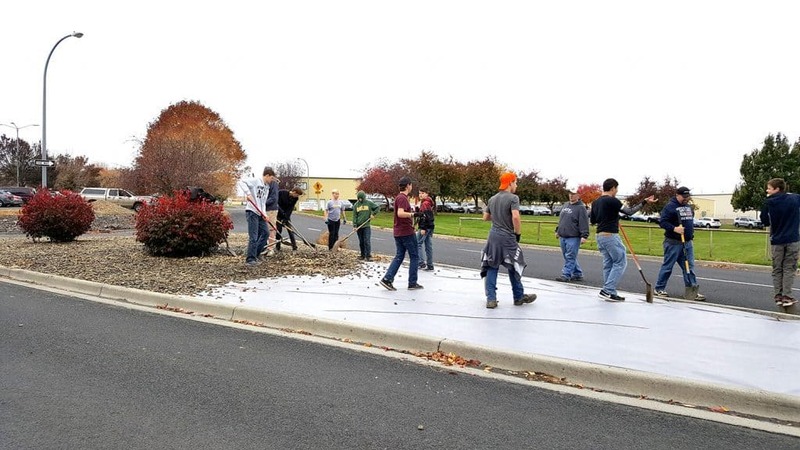 Troop 1148 showed up in force at the Lewiston-Nez Perce County Regional Airport early Saturday morning, October 21st. No surprise, their presence was part of a well thought-out plan, approved by the Boy Scouts of America, their adult advisors, and Airport Administration. Their mission? To improve the appearance of the airport’s main entrance. 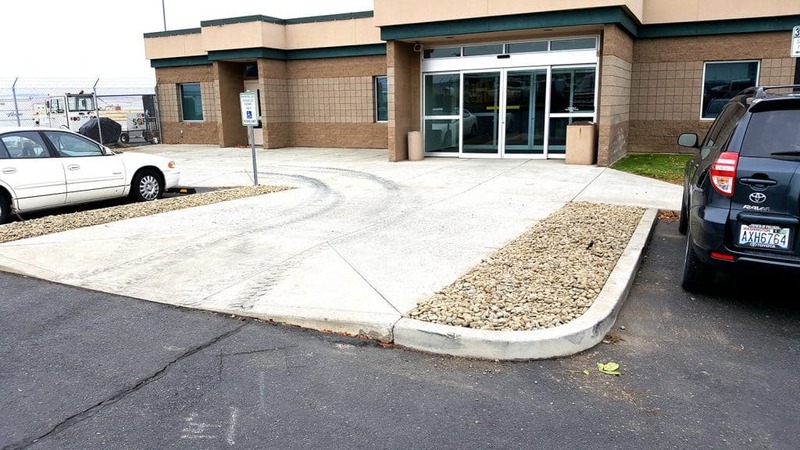 Within a couple hours the long-neglected traffic island separating the entry and exit lanes to and from the terminal was weed-free, bushes trimmed, landscaping fabric in place, and river rock neatly laid down curb to curb. And they didn’t stop there. Three more islands near the terminal building in the same condition received the same treatment. Life Scout Dale Simmons led the effort, supported by friends and volunteers of Troop 1148. It’s part of his dream of becoming an Eagle Scout. Working his way up through the ranks, it was time for him to create a community service project. It was time for him to organize, fund, and execute a plan, demonstrating leadership skills and service. And one look at the operation Saturday morning was all it took to know the mission was accomplished. It was a carefully choreographed affair with shovels, rakes, a small Bobcat loader, and large quantities of back labor and sweat. With the installation of a bench, the project will be done. Dale will continue his efforts in his quest to become an Eagle Scout. But his leadership and the dedication of Troop 1148 are leaving a lasting legacy. Members of Troop 1148 and Supporters of Dale Simmons: Michael Reese, Trevor Rietz, Noah Norwood, Sakti Woodbury, Mitchell Reese, Daniel Brereton, Emmett Simmons, Duke McFarland, Isaac McFarland, Jacob Reese, Gabriel Steadman, Kyden Bailey, Quian Finch.